Evening guys and gals, apologies it’s a late one today. 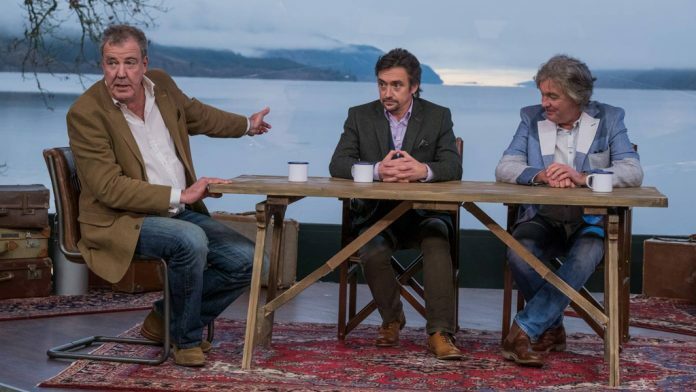 If I’m going to be honest, I’ve had such a manic week, that I forgot all about The Grand Tour. I know, how dare I?! Anyway, this week brings us the first episode of 2018, and more specifically, episode 5 of season 2. 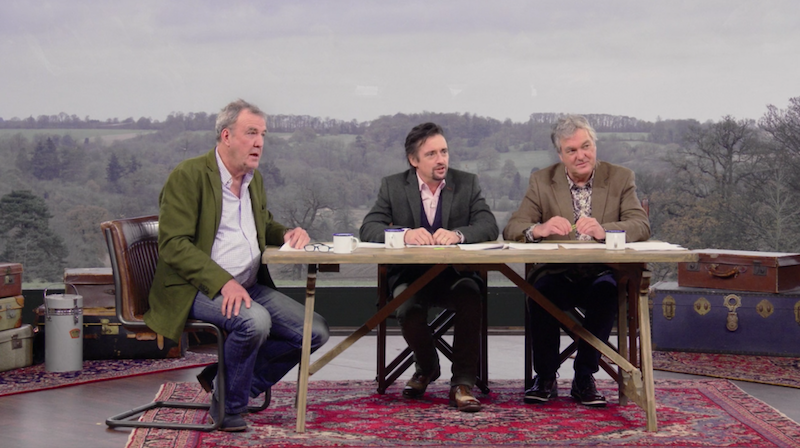 In this episode we see Hammond in a tank, May in a small Volkswagen and Clarkson… in a field. We kick start the show in a place that is as crazy as it is sandy. That’s right, it is of course the United Arab Emirates. Richard Hammond hoons about the desert in a 1,500bhp Sand Rail which all looked rather good fun, but just as he finished introducing that, he’s on to something a bit more… military. Say hello to the Ripsaw. What we have here is a bespoke tank that is available for those that have lots of money that is burning holes in their pockets. As Hammond explains, there is not set price as the vehicle is tailor-made, but the model he was testing would set you back around £300,000. 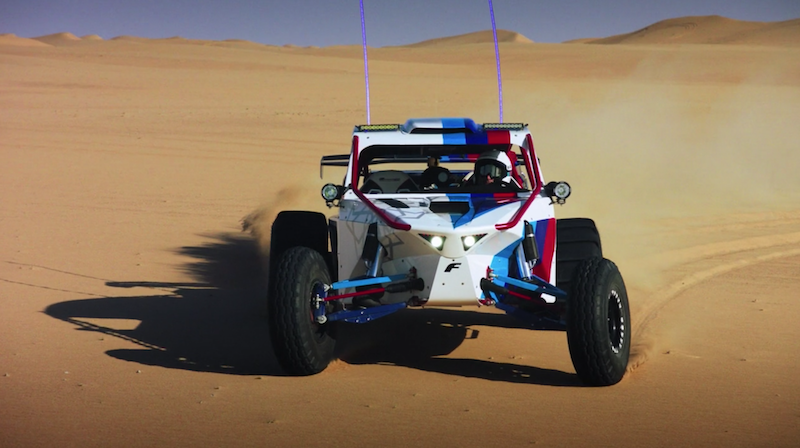 It weighs 4 tonnes and is powered by a 6.6 litre V8 engine. The speed isn’t the talking point here though, the way in which it can pretty much go anywhere and it’s virtually unstoppable. For example, it’s able to climb a 75% gradient whereas a Range Rover can only muster 45%. But is it any good in town? 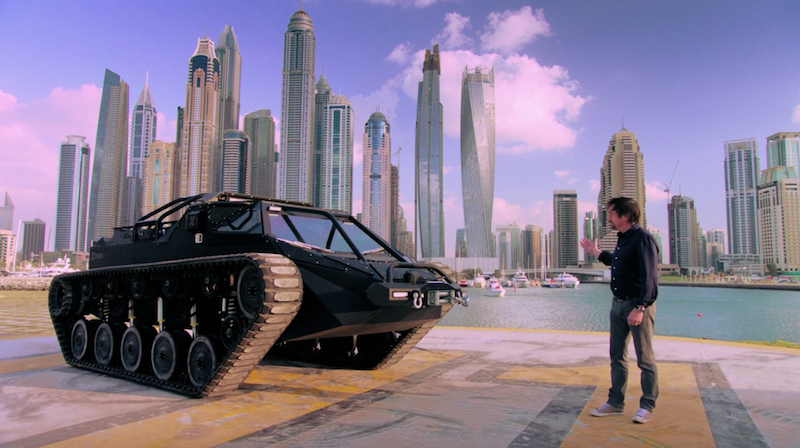 Well Hammond takes it in to Dubai to see what it’s like in the city. Let’s just say, things got a bit messy. Can’t Hammond do anything without breaking something?! Seeing as this is the first GT episode of 2018, Clarkson, Hammond and May discuss the cars they are most looking forward to seeing in the coming year. This means it made for some properly good car conversation as the trio discuss the new Bentley Continental GT, the Lamborghini Terzo Millennio and the Mercedes Project One to name a few. Interestingly, amongst all this, Clarkson described V12 engines as “dreary”. I never thought I would hear the words come out of his mouth. Just before the end of Conversation Street, James May laments the fact that modern day hot hatches have got too much power and that they need to be dialled down a bit. How dare he say that, James May must die! Ok, that’s a bit harsh. We then cut to the Eboladrome where we join Captain Slow with a car that seems to suit him down to the ground. It’s the new Volkswagen Up! GTI, a car that is somewhat a tribute to the original Golf GTI from the 70s. This means you get a power output that is of a similar ilk, meaning that the performance is also very similar. This, for me, was a bit of a problem when VW launched the Up! GTI, as I personally thought it was bit too mild. However, James May makes a compelling case for why the Up! GTI is able to offer appeal. You see, it’s all about the sensation of driving and the fun of being able to throw around a small car without having to worry about lots of power. In that sense, it’s similar to the Suzuki Swift Sport, and the Mazda MX-5 come to think of it. The film was put together well and it had a good balance of information as well as being presented very well and entertaining. It’s also good to see cars featured on The Grand Tour that some of us might actually be able to afford, so overall, the film gets a thumbs up from me. After May has thrashed the little GTI around the track, it gets placed in to the hands of Abbie Eaton, who looks a bit out of place all dressed up in her race gear. It would be like turning up for a job interview in dinner suits like in the film Step Brothers. Despite lookign overdressed for the job, Eaton is able to complete a tidy lap, although it wasn’t enough to stop it coming bottom on the leaderboard, prompting Clarkson to call it the slowest car in the world. Last week’s Celebrity Face Off was a decent one and once again, this week was able to deliver a decent interview. 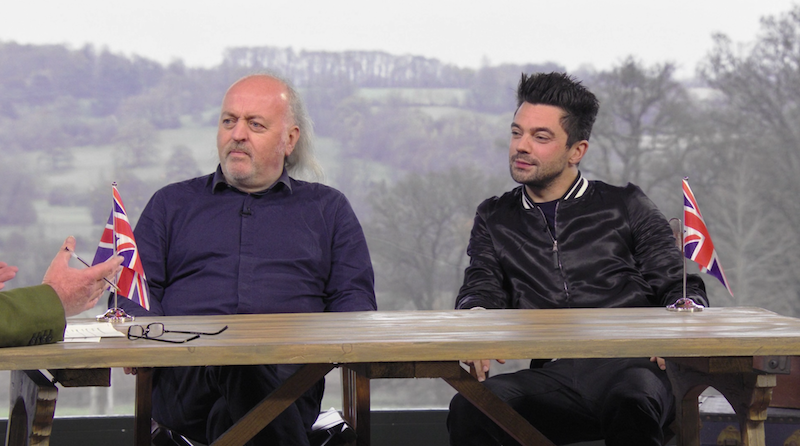 The guests this week were Bill Bailey and Dominic Cooper, who were both able to deliver some decent car-based anecdotes. This made it an enjoyable watch and it was also fun to see Bailey poke fun at Clarkson early on in the interview. Bailey and Cooper both put in decent laps too, completing what was another decent instalment of CFO. After Celebrity Face Off, Clarkson states that the type of films that Chief Hoonigan Ken Block makes are easy and that it’s all about editing. We then cut to the man himself – Clarkson, not Block – coming out of a smoke filled trailer as he places himself in to a Subaru Impreza before starting ‘Farmkhana’. 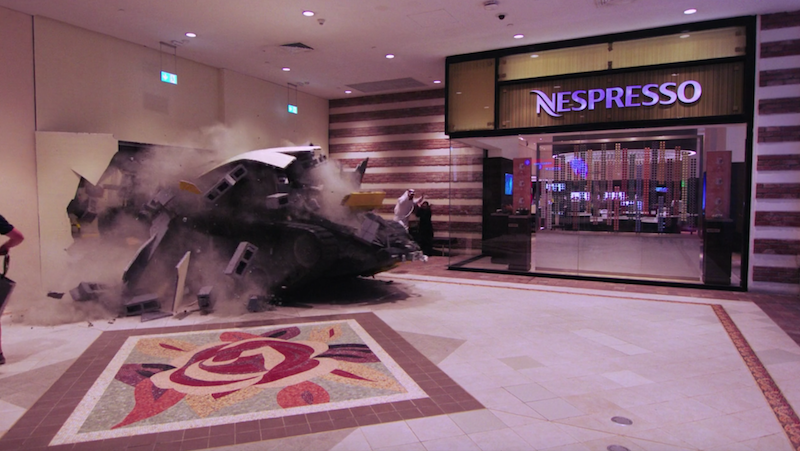 What follows is pure entertainment and the video itself is actually a pretty good tribute. The film then rather abruptly as Hammond and May pick apart all the things that went wrong behind the scenes and in the process, they strip away all the magic. This for me, was comedy gold, and I was laughing like a drain throughout the whole thing. This may just be one of the funniest things I’ve seen on The Grand Tour so far and although the film was a rather silly one, I thought it worked really well. 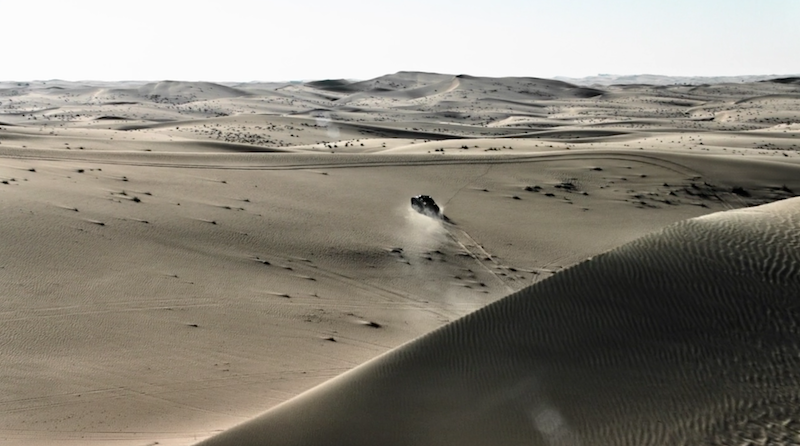 You need to watch it to truly appreciate it, but I think it’s safe to say that Ken Block has got very little to worry about..
All-in-all, I found this episode to be a very enjoyable one and in my opinion it was the best so far from the series. It was entertaining, it had some cool machines on there, some proper car content, and Clarkson destroying an Impreza. Great work from the GT team this week and I look forward to next week!